IWF - Why Are So Many Working Americans Still Dependent on Food Stamps? Why Are So Many Working Americans Still Dependent on Food Stamps? At first glance, the American economy appears to be recovering. The most recent monthly unemployment rate showed more jobs were added and the unemployment rate remained steady at five percent. During the Great Recession, the unemployment rate rose from five percent in January 2008 to a peak of 10 percent in October of 2009. 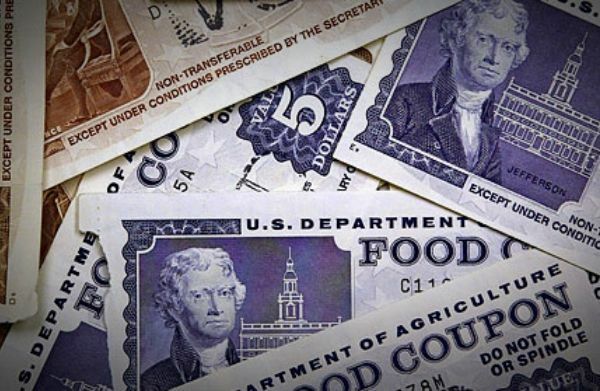 To help Americans who fell on hard times during the recession, the federal government expanded benefits such as SNAP, better known as food stamps. One might expect that when unemployment began to decline, the SNAP levels would eventually follow suit. Instead, enrollment in the program is now 12 million people higher than when unemployment hit its 10-percent peak. Historically, the use of food stamps has leveled off as the economy has improved, yet today it remains near historic levels. Roughly one in five U.S. children under the age of 18 depend on the SNAP program for food. From 2000-2013, food stamp caseloads grew from 17.2 million to 46.6 million and SNAP spending quadrupled to $80 billion. Oversight of this means-tested program intended to support the most vulnerable Americans during temporary periods of financial stress has been lax. Since job opportunities became more abundant, officials never went back to tighten eligibility requirements. In additions, the Obama administration extended federal funding to states that agreed to merge SNAP and Medicaid enrollment systems to make it easier to apply for benefits. In some cases, counselors even pushed applicants to apply for as much as they could get in food benefits regardless of need. Streamlining these processes boosted SNAP enrollment by one to six percent, except in Nevada where enrollment shot up 16 percent. Such actions send the message that public benefits are not meant to be temporary and do not target those who truly need help. The unfortunate impact is to codify dependency on the government instead of encouraging upward mobility and promoting self-sufficiency. Some states such as Arizona, Arkansas, and South Carolina have stood up to federal pressure to keep the program bloated. Last year, Maine began enforcing work and volunteer requirements and the number of recipients who are able-bodied adults without children plummeted by 80 percent. If the economy has rebounded as Washington likes to tell us, it’s time for fiscal responsibility. Let’s finally address the primary drivers of our debt – entitlements. If the economy is still struggling to add full-time jobs and Americans have less in their pockets because wages have failed to rise significantly over the past seven years, let’s remove government barriers to opportunity and get rid of costly and burdensome regulations like Obamacare. Helping those in need is not just Uncle Sam’s responsibility. 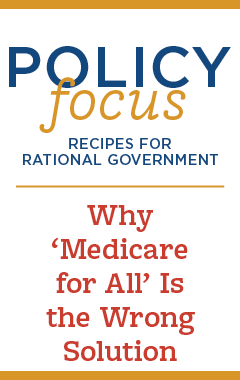 Taking care of fellow Americans should not be outsourced to incompetent and unaccountable government bureaucrats and programs. It’s time to restore the role of communities, churches and other civic organizations in meeting the needs of our neighbors. We have a vibrant and diverse nonprofit sector with over 1.5 million charitable organizations from soup kitchens to civic leagues working to save lives, promote education, protect the environment, spread messages of freedom, and more. Americans deserve an efficient, effective, and accountable government that doesn’t encourage dependence or limit success.